Noise – When items get caught in the drum or the load is unbalanced your machine can sound excessively noisy. This could also be a sign that the bearings have an issue! You can check this out by turning the drum of the washing machine by hand when it’s empty and if it pushes against you there may be a problem. Leaking – This may simply be a result of overflowing or a loose connection. The water hose at the back of the machine may have loosened from age or from excessive vibration, or it may be due to a more serious problem such as a cracked drum. Pipe tightening and replacement hoses may help take care of the issues. Moving – Your washing machine should stay in the same place whilst in operation. If it sways from side to side or actually walks when working then this may cause water to slosh outside, and lead to the development of mould and mildew. Pulling free of connections is an added danger here. Check to see if the machine is standing level to stop it moving excessively. Drum won’t fill with water – Reasons for this can include a delayed cycle feature, a problem with hot and cold water fills, or some type of complication with a water intake valve or filter. You can take a look at the switches and belts to see if you can identify the problem, but you may need the help of a professional here. Drum won’t spin at end of cycle – Spinning at the end of a cycle ensures your clothes are wet but not soaking, if the fast spin stops working your clothes will be drenched and heavy! This may be related to a pressure system fault which has a fault or a blockage, or a worn motor with worn carbon brushes often being the culprit. Water won’t drain – A problem with the pump filter is often the cause of a drum filled with water at the end of the programme. Simple blockages are easy to fix in the drain hose or U-bend, but checking your pump filter requires you to drain the washing machine manually. Clothes don’t wash clean – What is wrong with my washing machine is a common question when your clothes are washed and still stained! A new machine will offer stain removing technology that’s tough on marks but gentle on garments. Modern machines mix detergent with air and water, flooding the drum with stain-fighting foam that works even at low temperatures. Drum not large enough – This is a common problem when you’ve a growing family. Drum sizes vary greatly and for large families you could ideally do with a 10kg load capacity. There won’t be enough room in a small drum to cope with sports kits and teenage fashion! Don’t be tempted to buy bigger than you can fill though, as the best results are always obtained from matching programmes to load capacity. 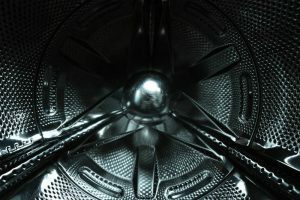 Your washer is eight years old – It’s an important factor that machines over eight years old are likely to experience more problems, as they’re susceptible to leaks from loose connections and failing water hoses. Washing machines are constantly evolving and you could be missing out on lots of new technology that makes doing the laundry so much easier! If you have problems that you simply can’t resolve just get in touch with a reputable washing machine repairs service in North London who’ll send a trained technician to fix it for you!